Get out the lime and the salt because National Margarita Day is TODAY! And I’ve got a whole list of tasty margs to share with you so you can celebrate with us at the Walt Disney World and Disneyland Resorts! 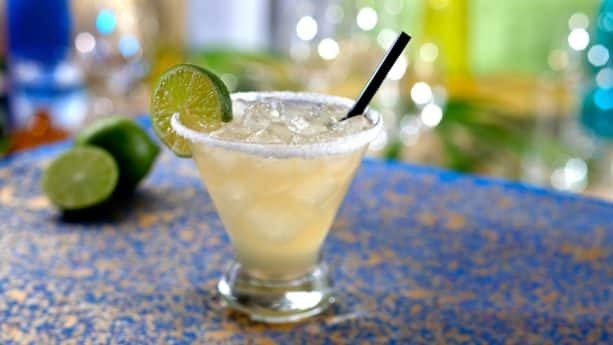 This list contains my personal favorite margaritas, as well as some tasty apps that you and your friends can enjoy along with them. 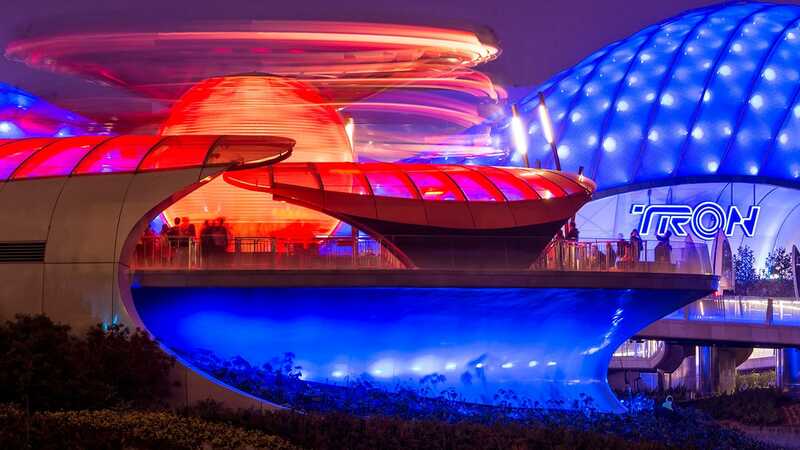 In order to properly kick off this list, I’m starting with none other than the Mexico Pavilion at Epcot. If you’re looking for an authentic, hand-crafted margarita, then this is the place to go! Inside the pyramid you’ll come across La Cava del Tequila, a warm lounge where you can sip on a wild passion fruit margarita while snacking on corn chips with guacamole or queso. And just outside the pyramid is the recently opened Choza de Margarita – which offers hand-blended and frozen margaritas and authentic South of the Border specialties such as Empanadas de Barbacoa and Tacos al Pastor. Here, my personal favorite marg is the Guava Pink Peppercorn Margarita. This signature “On the Rocks” drink comes with Zignum Reposado, guava nectar, grapefruit liqueur, lime juice, Peychaud’s Bitters and pink peppercorns. If you’re in the mood for a refreshing frozen margarita, then you’ll also find classic flavors like Wild Strawberry, Classic Lime, Passion Mango, or the Fiesta option, which combines all three flavors into one spectacular frozen drink! Next on the list is BoardWalk Joe’s Marvelous Margaritas, located just across from the Pizza Window at Disney’s BoardWalk. Here, the margaritas really are MARVELOUS! My favorite one being the Marvelous Watermelon Margarita, with Patrón Silver Tequila, watermelon, fresh lime juice and sweet-and-sour. You can also order a Frozen Grand Margarita with Jose Cuervo Gold Tequila and Grand Marnier. Both of these tasty drinks go perfectly with the Joe’s nachos and cheese or even a slice of yummy pizza from the Pizza Window. 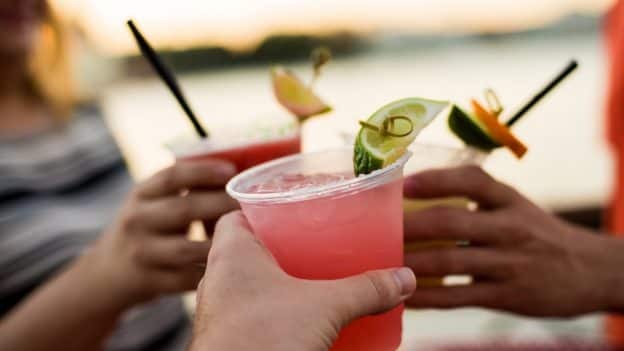 Of course, Disney’s BoardWalk also makes for the perfect setting to relax and enjoy these tasty libations while enjoying a gentle breeze over a gorgeous lake. 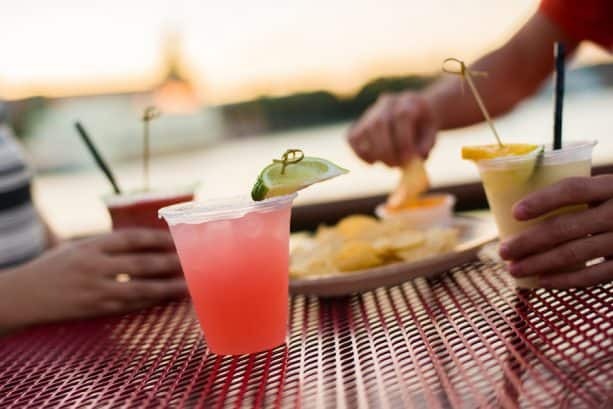 At Disney Springs, you might come across what looks like an old 1960’s Florida fruit stand, but instead of fruit, you’ll find delicious margaritas! 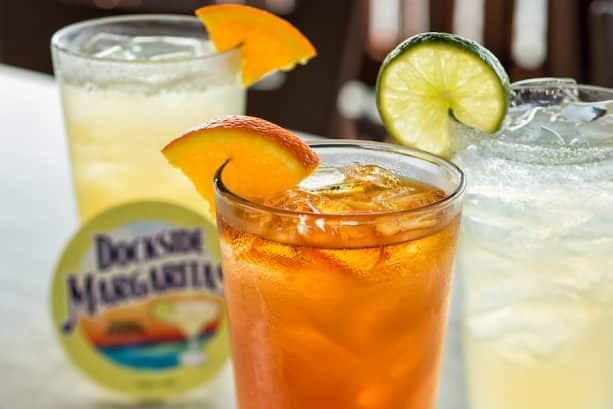 Dockside Margaritas is one of the most popular spots at Disney Springs to relax, grab a snack and enjoy some sweet margs while listening to live music. The Sunset Margarita is definitely a must-try, with Don Julio Resposado Tequila, Cointreau, fresh lime juice, sweet-and-sour and orange juice. If you’re looking for more classic flavors, the strawberry of lime frozen margaritas are for you! You can also snack on some Loaded Nachos while you sip – these come topped with guacamole, salsa, cheese dip and sour cream. And what’s better than margaritas and nachos? In addition, in The Landing at Disney Springs you’ll see Jock Lindsey’s Hangar Bar, the ex-home of Indiana Jones’ sidekick and pilot. Here you can quench your thirst with adventure-inspired cocktails, like Pancho’s Margarita with Don Julio Reposado Tequila, Grand Marnier and fresh sweet-and-sour. And while you’re taking in the atmosphere of this 1940’s airplane hangar turned dive bar, try some of the appetizers too, such as Air Pirate’s Pretzels or Mac’s Pork Belly Sliders! Recently, I wrote about all of the rose gold sweets you can find here at Walt Disney World Resort, and one of those items was a brand-new Rose Gold Margarita! 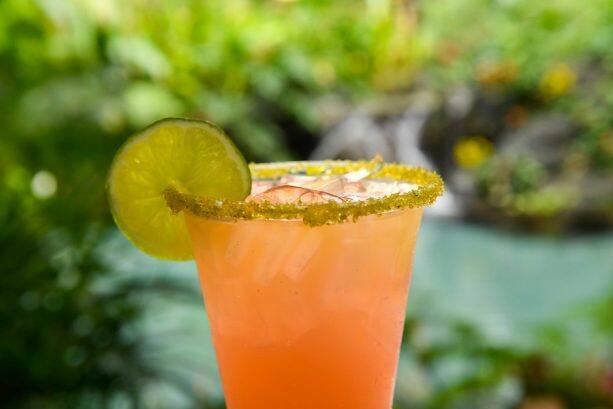 This beautiful and tasty marg consists of Lunazul Reposado Tequila, Cointreau, lime juice, sour mix, grenadine and flavors of mango, guava and ginger as well as a gold sugar rim, and it can be found at the Barefoot Pool Bar at Disney’s Polynesian Village Resort. Also at this resort is Trader Sam’s Grog Grotto, a tropical tiki bar where you’ll find fantastic drinks and small plates to munch on. Here you can try the hand-crafted Rosita’s Margarita with Casamigos Reposado Tequila, Orange Curaçao, fresh lime juice, Falernum and organic agave nectar. Pair this with the mouthwatering Kalua Pork Tacos with cabbage and pickled vegetables and you’ve got yourself a taste of the South Seas lifestyle! Pandora – The World of Avatar at Disney’s Animal Kingdom has a special margarita inspired by the Na’vi and the “bioluminescence” of the Valley of Mo’ara. Found at Pongu Pongu, the Mo’ara Margarita is infused with strawberry and blood orange flavors and is topped with strawberry boba balls and a glowing Unadelta Seed. You can even snack on the delectable Pongu Lumpia, a pineapple cream cheese spring roll, while you sip on this sweet drink. On the west coast, finding a margarita at Disneyland Resort isn’t too difficult, especially in Disney California Adventure Park. 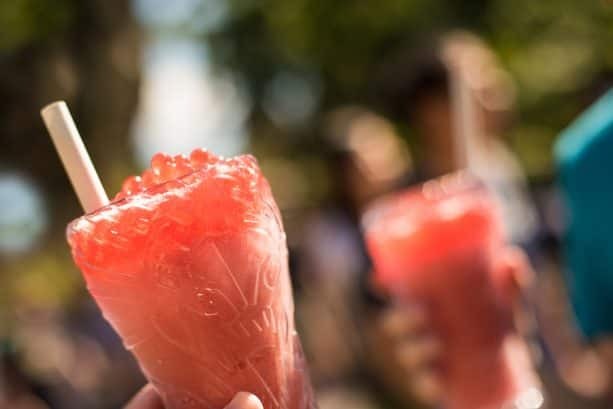 Just head on over to Rita’s Baja Blenders at Pacific Wharf and you can cool down with some fresh frozen margaritas in strawberry or lemon-lime! This rehabilitated water tower also serves non-alcoholic frozen drinks as well as savory chips to snack on. Also found at Pacific Wharf is the relaxing and Mediterranean-inspired Alfresco Tasting Terrace. Here you can relax on a patio overlooking Radiator Springs while you enjoy a selection of incredible cocktails like the Habañero Margarita, the Blood Orange Margarita, or the Watermelon Margarita. You can even nosh on Italian-inspired appetizers like Classic Bruschetta or a Charcuterie and Cheese Board. 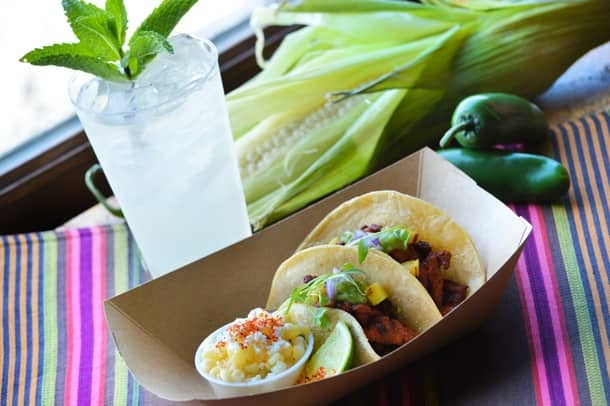 At the Downtown Disney District you can enjoy the colorful outdoor patio of the Taqueria at Tortilla Jo’s, where you’ll find margaritas, Mexican beers, tacos, nachos and more! And if you’re looking for a casual dining experience, just head on in to Tortilla Jo’s for a rich, authentic, south-of-the-border menu that includes a drink selection with over 15 different specialty margaritas. Some of the highlights of this marg menu are the Pineapple-Cilantro Margarita, the Fresno-Mezcal Margarita, and the Spicy Mamacita Margarita. There are also a variety of traditional fruity flavors such as pomegranate, strawberry-mint, blood orange, melon and, of course, lime. There’s no better place to spend National Margarita Day than at a Disney Park, so whether you’re at Disneyland Resort or Walt Disney World Resort, grab some friends and be sure to come on out and celebrate with us! And don’t forget to share your Margarita Day experience using the hashtag #DisneyFood.